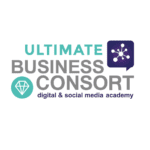 Business Consort Digital Academy aims to provide the ultimate resource for those wishing to learn, keep up to date & extend their knowledge in the social and digital marketing arena. 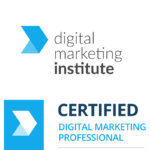 We provide online courses and face-to-face training in London, & Manchester covering all topics associated with internet, social media & digital marketing. We also offer In-House Team Training tailored for your own business objectives and for your own employees development at your own premises. Our courses have been designed for those wanting to work in marketing or professionals who want a specialist knowledge & understanding of what digital marketing is, how it relates to the marketing industry & turn that knowledge into successful marketing strategies. 75% of transactions originate from a search engine so if your business doesn’t appear in search results you are not only missing out on web traffic but ultimately your losing leads to your competitors. All the content we provide through this site will help you increase web traffic, increase lead generation and improve results from your digital and social media marketing efforts tenfold. 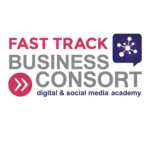 Business Consort are providers of Chartered Institute of Marketing Accredited Social Media and Digital Marketing Training Courses including Digital Marketing Diplomas – We have trained some of the world’s largest Global brands across most industries. The Awarding Body at The Chartered Institute of Marketing (CIM) has commended Business Consort Ltd for the excellent standard of results achieved for assessments submitted in the 2014-2016 assessments session for all units of the CAM Diplomas. ©Copyright 2017 Business Consort Ltd - All rights reserved.